On July 18th, Dr. Chuan Tang, postdoctoral research associate with the Center for Agriculture and Rural Development (CARD), joined us for our monthly webinar series to discuss an ongoing project looking to provide economic valuation to the benefit of reducing nitrate in Iowa’s water. About 90% of Iowans receive their water from a public water supply system that are monitored for nitrate levels. Of those systems – 55% rely on groundwater and 45% on surface water sources. The remaining 10% use private wells. Private well users can contact their county health department to receive free test supplies to monitor the health of their water supply. Lakes and other water bodies provide an estimated $30M each year in recreational benefits. In addition to acute health impacts like Blue Baby Syndrome, health researchers are examining the chronic issue from long term exposure to high nitrate levels. Be sure to watch the archive version of the webinar for more information and check out the related publication “Economic Benefits of Nitrogen Reductions in Iowa“. Today’s guest post is by Jake Hansen, Chief of the Water Resources Bureau Division of Soil Conservation & Water Quality at Iowa Department of Agriculture and Land Stewardship (IDALS). 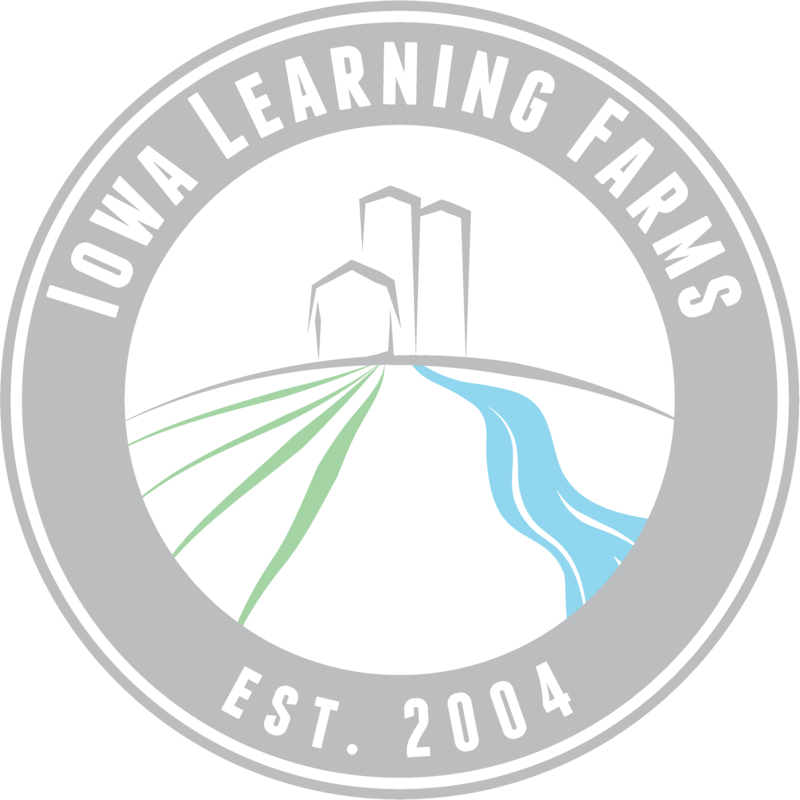 The Iowa Conservation Reserve Enhancement Program (CREP) is a joint effort of the Iowa Department of Agriculture and Land Stewardship (IDALS) and USDA’s Farm Service Agency, in cooperation with local soil and water conservation districts (SWCDs). The program provides incentives to landowners to voluntarily restore shallow, semi-permanent wetlands in the heavily tile-drained regions of Iowa to improve surface water quality while providing valuable wildlife habitat and increased recreational opportunities. The goal of the program is to reduce nitrogen loads and the movement of other agricultural chemicals from croplands to streams and rivers by targeting wetland restorations to “sweet spots” on the landscape that provide the greatest water quality benefits. CREP wetlands are positioned to receive tile drainage by gravity flow; they remove nitrate and herbicides from the water before it enters streams and rivers. Excess nitrogen not only affects Iowa’s waters but is also one of the leading causes of hypoxia in the Gulf of Mexico. CREP wetlands are one strategy to help reduce nitrogen loading to those waters. Targeted results. To ensure that wetlands are sited in the most advantageous locations, IDALS uses advanced geographic information system (GIS) analyses to find locations that are properly sized and situated to provide large nitrogen removal benefits. The CREP wetland criteria are based on over two decades of research and monitoring conducted by Iowa State University. This research and monitoring has demonstrated that strategically sited and designed CREP wetlands remove 40 to 70 percent of nitrates and over 90 percent of herbicides from cropland drainage waters. Nitrogen reduction is achieved primarily through the denitrifying bacteria that occur naturally in wetlands. Through denitrification, the bacteria remove nitrate from the water and release it into the air as nitrogen gas (N2), an innocuous end product. The highly targeted nature of this program has led to 83 wetlands currently restored and another 12 under development. During their lifetimes, these wetlands are expected to remove more than 100,000 tons of nitrogen from 122,350 acres of cropland. In 2016 the number of restored wetlands reached an annual capacity of removing over 1,300,000 lbs of nitrogen. These 95 targeted restorations total more than 891 acres of wetlands and 3,100 acres of surrounding buffers planted to native prairie vegetation. More than nitrogen removal. Even with the impressive results so far, Iowa continues to explore and develop new technologies to optimize wetland performance by incorporating additional considerations for habitat, hydraulic efficiency, and temporary flood storage benefits. CREP wetlands are already providing high-quality wildlife habitat and recreational opportunities in addition to water quality benefits. Studies conducted by USGS have shown dramatic increases in the presence of several frog species at CREP wetland sites. The high-quality buffers, in conjunction with the shallow wetland habitats, have proven to be a tremendous boon to a multitude of wildlife species commonly found in these areas. Populated by birds ranging from trumpeter swans to shorebirds, these areas have shown that targeting wetland restoration for water quality benefits does not come at the expense of mutual habitat and recreational benefits. To see additional photographs of CREP wetlands across Iowa and to read more about the program, click here (http://www.iowacrep.org).